All services now offered via telemedicine – no in-person visit needed! Why haven’t you found the proper treatment yet? While many sufferers report similar symptoms (one or more of diarrhea, constipation, abdominal pain, gas, or bloating), the root causes of those IBS symptoms can vary greatly. The key to finding the proper treatment is identifying the true cause of your symptom. Therefore there is not a single treatment for everyone with IBS. In fact, there are literally hundreds of different ways to treat IBS, and there always will be. We know that you don’t really care, you just want to solve your problem. And that’s what we want to do too. Our unique approach to properly identifying and treating your particular causes and symptoms is the key to our success. Because IBS is such a broad label covering many symptoms and many more causes, most websites and even many doctors, including gastroenterologists, will tell you there is no cure. Or the only offered solution is a one-size-fits-all symptom treatment that aims only to minimize your symptoms. However, with our unique approach, we usually help patients discover the cause of their IBS within one month. We have many patient success stories you can read here. What makes the IBS Treatment Center so successful at helping patients is we recognize that although there are many treatments that might cure your IBS, the key is identifying which ONE is the SOLUTION that will work for you. Our company’s founder, a doctor who is now cured of IBS, developed a unique process and assembled a team of IBS doctors dedicated to curing IBS. Our proven system has been perfected on thousands of patient since we opened over 10 years ago. We have CURED IBS in 1000’s of patients. We can help you too. All services also available via telemedicine. No in-person visit required. It all starts with our highly-detailed IBS Patient Profile. We collect information about you and your concerns using a questionnaire that is provided to you when you schedule your first visit (or phone session if you are receiving treatment via telemedicine). This allows you to fill out the form before your session, taking your time to document as many details as possible. The questions are extensive, but be rest assured our doctors read every word you write. The outcome is an accurate and complete Patient Profile that helps us best help you. Your consultations will be very different than what you’ve experienced at other clinics. We value your time, and our time with you. We do not double book, and you don’t see a nurse or medical assistant before having time with the doctor. For your first visit and your first follow-up consultation we set aside 35 minutes that you will spend entirely with one of our IBS specialist doctors. You will have ample time to ask the doctor questions and voice your concerns, and you can expect to get real answers. You can schedule a longer consult if desired, which is helpful if you have a particularly complex case, or just like to talk! What doctors have you seen for your IBS? What are you eating now and what kinds of diets have you tried? Are you avoiding any foods? What kinds of medications and supplements are you taking now or have taken to treat your symptoms in the past? As with all specialists, we usually need to collect more data before we can make meaningful treatment recommendations. This phase may involve testing that you haven’t had before or acquiring more of your medical records. And you can be confident that we won’t take shortcuts just to satisfy any third party. We will not recommend repeat testing unless we know for certain the previous testing you’ve had is inadequate. We use many different labs, and our Medical Director personally visits the labs and we test their services to verify that they provide the high quality and reproducible lab work that meets our standards. You can eliminate travel time and travel costs if you prefer to do these appointments via telemedicine (video conference). If any later testing is required, we can usually accomplish this from a distance. Please click here for information on our telemedicine program. During your first visit we may or may not prescribe some basic treatment to try to alleviate your symptoms before we fill in the missing pieces about your condition. However, the true cure comes from doing the deeper work. Of course, that deeper work takes a little time, but it will save you a lot of time and money in the long run and you can be confident your quality of life will improve dramatically as a result. By your second consult (usually about one month after the first) we typically have enough pieces to the puzzle to gain a far greater understanding about the cause of your IBS, which means we have a much better idea about how to treat it. This appointment is critical for assessing any new lab work, ensuring you have a complete understanding of the results, giving you a chance to ask questions, and for the doctor to create a meaningful treatment plan. The next part of the process is making sure the treatment is working for you. Every time you have a follow-up consult, our first line of questioning will focus on what has changed, if anything, since your last consult. If the treatment is working, we need to gauge how well and create a plan so that you will continue to improve and heal until you no longer have IBS. If it’s not working, we want to figure out why not. Both parties have to be honest about the process in order for it to work. We do not believe in a one-shot attempt, crossing our fingers, and then saying goodbye no matter your outcome. We don’t want you to pretend to feel better if you don’t, and we won’t pretend our treatment worked when it didn’t. We are dedicated to a relentless, ongoing process to find the cause of your symptoms and we won’t be satisfied until you are healthy and happy. As part of this process, we also have a team of people here to help you get better. Our office staff are all licensed Medical Assistants and are a key part of our what we do. They are the people who not only help you in the office, but take your calls as well. We also have a specially trained Registered Dietitian who focuses on IBS, and who understands the needs of our patients and is our reside foodie. She can help anyone have a fun diet! Our highly skilled doctors have helped more than 5,000 patients and have a remarkably high success rate of more than 80%. The national average of successful IBS treatment is much lower than our success rate. You can read some of our patient success stories here. Simply put, what we do works – and it works well – and it works for most patients with IBS. Our treatments work so well because our practice is focused solely on IBS. We were founded more than a decade ago and were honored as one of Seattle’s Top Doctors in 2015. 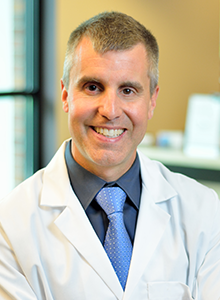 Dr Wangen has been free of his IBS for 20 years and that’s his goal for every patient that comes into the IBS Treatment Center. So how exactly do we treat IBS? It’s difficult to give a blanket answer when each patient’s program is so highly specialized. Below are some of the most popular approaches to IBS and how we integrate these into our system.